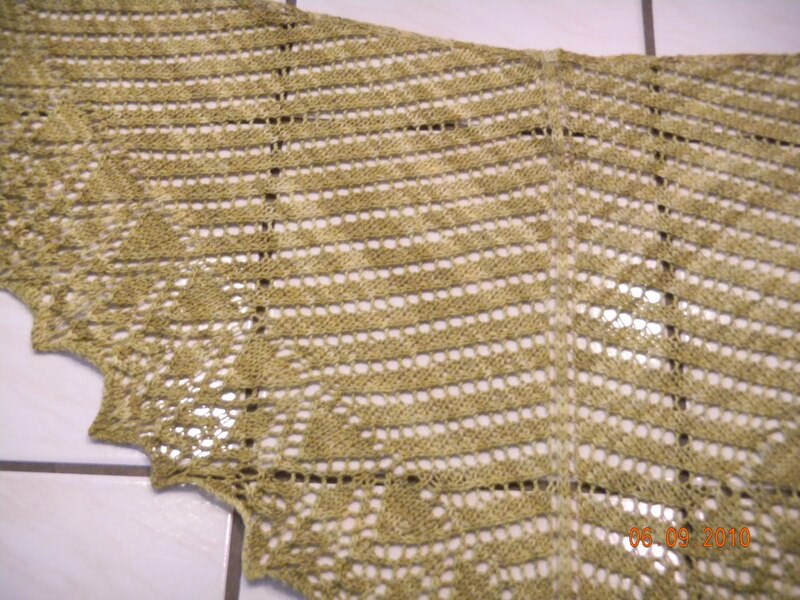 How often does it happen that you are snooping around on Ravelry and you find a shawl with your name on it? I mean literally, the shawl’s name is your last name? Well, it happened to me and here it is! For details, see my Ravelry page. I love all things Blue Moon, and this is knitted in Seduction which is 50% merino ad 50% tencel. It has a luscious hand. More shawls to follow………………….. BEAUTIFUL!!! Hey, I was looking at knitters magazine and there is a wavy shawl like a very long version of our scarf. It is called Wave and Ripple and on page 58. I hope Shirley saw it because she was looking for something like that. I know–I am dying to knit it too. So many shawls, so little time!